← What caused the crippling of Exchange 2013 modern public folders? One of the worse things that can happen at a technology conference is to turn up for a session that you really want to attend only to find that the room is packed out and you can’t even get inside the door. It’s only slightly better if you can get in and then have to spend 75 minutes standing – or having your buttocks become steadily more numb as you sit on a hard floor. The word on the street is that nearly 2,000 people will attend next week’s Microsoft Exchange Conference (MEC) in Austin. 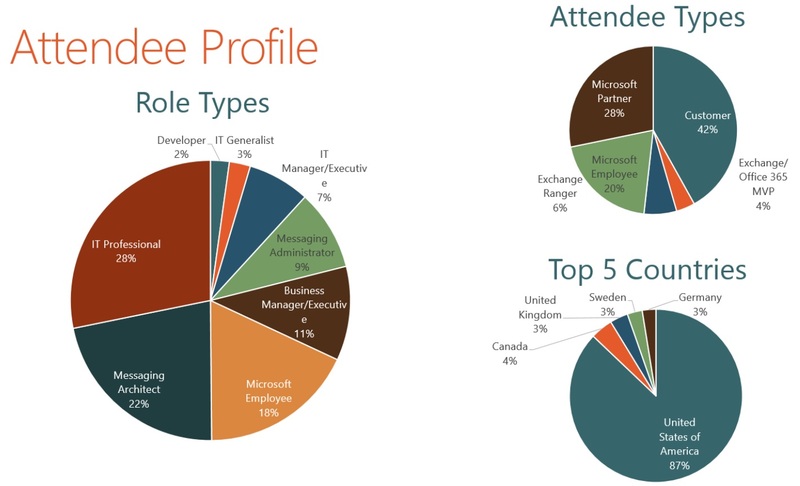 The majority are paid attendees and the rest are Microsoft employees and speakers. Microsoft briefed MVPs and session chairs about MEC details on Wednesday and revealed that 91% of the expected audience come from North America. This doesn’t reflect the worldwide audience for Exchange, Lync, and Office 365 at all and underlines the case for a MEC-like event outside the U.S. (like the old EMEA MEC events held in Nice, France). With such a crowd, you can bet your bottom dollar that some sessions will be absolutely packed. Perhaps it’s the prospect of hearing a truly compelling speaker who is master of their subject or maybe it’s because the subject matter is new and interesting. For whatever reason, there will be attendee traffic jams going into some of the rooms. The conference organizers will do their level best to assign appropriate rooms for sessions. They are helped in that MEC attendees have been registering for sessions over the last week or so. That data is used to predict where problems might lie, such as small rooms being assigned to overflowing sessions or, conversely, large rooms (like the ballrooms) assigned to sessions where everyone could shake hands with each other in less than two minutes. It’s horrible to be a speaker looking out at the empty masses of seats in a large room. Communication is impossible, words echo around the room, and audiences tend to drift away. I think the worst example of this that I ever saw was at a DECUS conference in San Francisco in 1993 where the organizers assigned a room capable of holding 700 people to a session that attracted just two. I think the session was about connecting Apple Macs to Digital VAXes, a topic that you’d imagine would attract a crowd in San Francisco. Alas, it didn’t, and the speaker duly gave up and came down off the stage to chat with the two attendees. Now to help you take a more scientific approach to planning your MEC agenda, I’ve extracted the data that is available online (to registered MEC attendees through the “Event Hubb”) and done some slicing and dicing to identify different types of sessions. Hopefully this helps you to make sense of the 7 core content tracks, 99 sessions, and 130 presenters. Not all of the tracks have a session for all slots. For example, after the opening keynote, there are only four sessions during Monday’s 10:30AM slot and five in the 1:15PM slot. On the other hand, Tuesday’s 1:30PM slot spreads itself across nine sessions. Note that MEC is not publishing a paper guide to sessions this year. The new approach is that attendees will receive a OneNote notebook containing all of the session information. Time will tell whether this idea finds favor with everyone. At the time I extracted the data (10AM East Coast on Friday), approximately 1,250 attendees had registered their options on the site. The data are therefore likely to change as the remaining attendees sign up for sessions. The knock-on effect is that the numbers shown below could expand by 25-30% (my guess). So far, the average attendees registered for a session is 160. People might change their mind as a result of this information or when they get to MEC and discover the sessions that their friends or colleagues plan on attending. However, I think the data are sufficiently accurate to aid in planning. Have fun with the information! 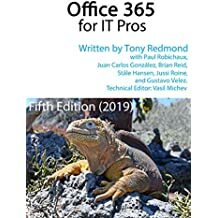 Of course, Exchange Online and Exchange 2013 on-premises share the same code base, so it is difficult to draw a line as to where Office 365 and Exchange begin and end. In any case, here are some Office 365 sessions that might interest you. An email server is not much good without some clients. Here are the sessions dedicated to the many varied clients available to Exchange. That’s about the end of my ruminations on MEC sessions. I hope that everyone that attends MEC has a great time. I know I shall! This entry was posted in Exchange, Exchange 2010, Exchange 2013, Office 365 and tagged Exchange 2013, MEC, Microsoft Exchange Conference 2014. Bookmark the permalink.